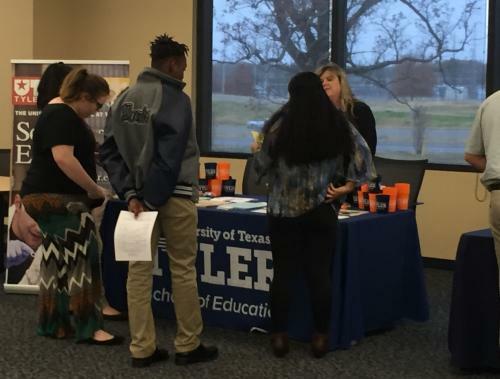 The PHS Chapter of Texas Association of Future Educators (TAFE) participated in the regional competition on Friday, November 30, in Mt. Pleasant. Of the 19 PHS students participating, 14 qualified to compete at the state competition in February. 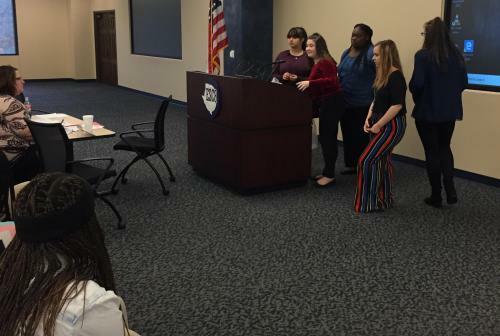 Student teams advancing in Project Visualize were: Amangane Hamilton and Akia Edwards, Ileana Zuniga and Kenya Young, Tamia McKinney and Hope Dixon, Hannah Pardee and Skylar Frazier, Carol Sanchez and Amagane Hamilton, and Destiny Millard and Robert Parker. Teams moving on to the state competition in Bulletin Board were: Quay Porter and Robert Parker in Elementary Design, and Hope Cox and Esmeralda Aguinaga in Secondary Design. The team of Hope Cox and Skylar Frazier advance to state in Chapter Yearbook competition. Students advancing to state in Children’s Literature were: Carol Sanchez, Destiny Millard, and Hannah Pardee. Hope Cox and Ileana Zuniga move on to the state competition in Impromptu Speaking, and Amagane Hamilton and Hope Cox move forward in Job Interview competition.